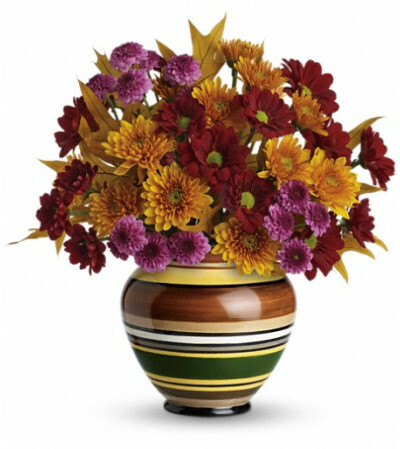 Share the bountiful beauty of autumn with rustic blooms in a charming ceramic vase decorated with hand-painted stripes. 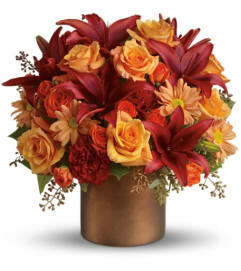 Amazingly affordable, it is the perfect way to add a special air of celebration to this glorious holiday. The gorgeous bouquet includes rust daisy spray chrysanthemums, gold cushion spray chrysanthemums and purple button spray chrysanthemums accented with oak leaves.